Baby Kwan (<2 years) follows her mother Ploy (or at least she’s supposed to— little rascal) due to her age and the fact that she’s still on the teat (if I may be so blunt). Jeab has taken a huge liking to Kwan and can always be found crowding near the mother/daughter duo, looking out for the little one when she squirrels away from her mother. Reminds me of my friend’s cool unmarried aunt who would take us to the mall and tell us that “you don’t need to get married to be awesome.” But much taller. Tang Mo (my favorite) is the third youngest in the herd and typically does her own thing. Gaem has a huge lady-crush on Tang Mo and follows her wherever she roams. Gaem is a bit naughty by nature (’91 was a hell of a year), which would be problematic if she wasn’t always chasing after well-mannered Tang Mo. Tang Mo seems to think that Gaem is “alright,” but doesn’t really return her affections. Much like the well-meaning girl from 7th grade who thought you were her best friend, but you couldn’t remember her last name. Now things get a bit complicated. Sai Fa and Lulu are friends; Fa Sai and Lulu are friends, Nong Nun and Lulu are friends; Fa Sai does not like Sai Fa; Fa Sai and Nong Nun only tolerate each other so that they can both enjoy Lulu. This chick Lulu has some serious pull—perhaps it’s her perfectly applied “blush” on both cheeks and well groomed “eyebrows.” There is always one “pretty girl,” isn’t there? 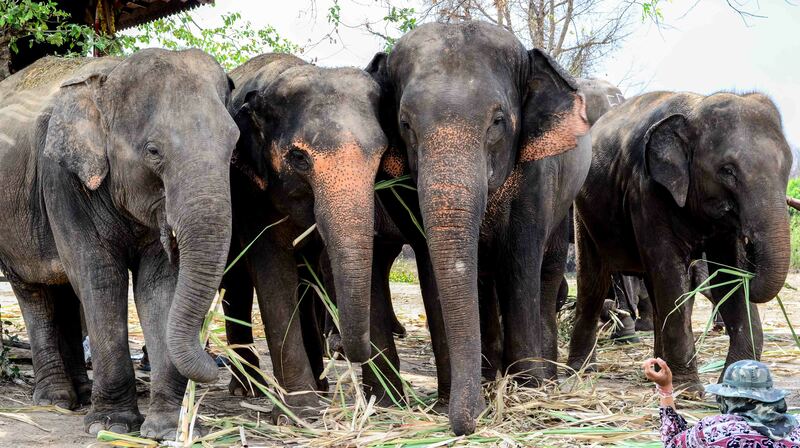 The remaining three members of the herd seem to come and go as they please, avoiding the drama that is the tangled-web of Sai Fa – Fa Sai – Nong Nun – Lulu. It’s a good thing that elephants don’t have opposable thumbs or access to sharpie pens, because I’m pretty sure that there’d be a Mean Girl-esque burn book going around the enclosure. While I joke about the similarities between elephant and human girl-group dynamics, the herd actually gets on quite well overall. Elephants are very social creatures that crave these types of interactions, even if there is some animosity between individuals. 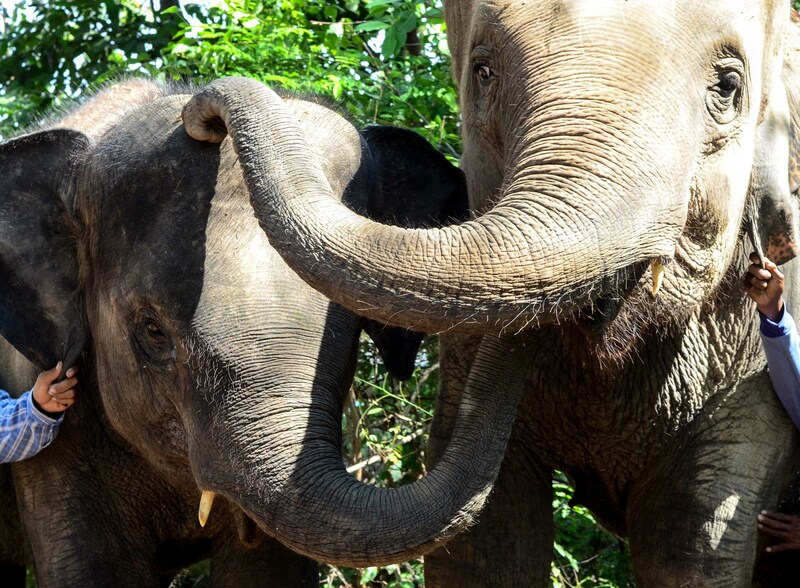 In the end, they are all benefiting from the Surin Project’s work by getting off their chains, away from control hooks, and communicating with one another in a free group environment. As long as Regina George doesn’t move to the village, everything should be A-OK. Such great pix and cute story!